Ai Carmini Residence price per day from € 95 . Serenissima Apartments price per day from € 200 . Residenza Manin Apartments price per day from € 195 . Locanda Leon Bianco price per day from € 90 Set on Venice’s Grand Canal, Locanda Leon Bianco is set in a residential building opposite the Ca' da Mosto Palace. It offers traditionally decorated rooms with private bathroom, air conditioning, and a safe. A continental breakfast is served daily in your room. La Coccola Set in a 16th-century building, La Coccola is less than a 10-minute walk from the Rialto Bridge in Venice. It offers air-conditioned accommodation with a balcony, and free Wi-Fi throughout. Hotel Do Pozzi price per day from € 135 . Hotel Serenissima price per day from € 95 . Al Palazzo Lion Morosini price per day from € 150 . Hotel Flora price per day from € 149 . 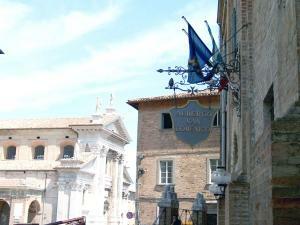 Hotel Rialto price per day from € 94 . Venice is a town in northern Italy settled on a group of more than hundred little isles singled out by channels and connected by small bridges. Town is simply walkable, and the lack of automobiles makes this a especially enjoyable adventure. Nevertheless, strolling and standing all the time can likewise be tiring, so it is advised to pace yourself. 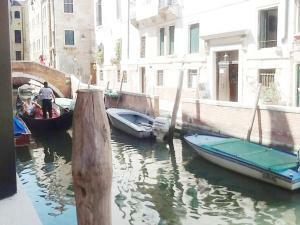 If you wish to navigate a little faster, there are countless Vaporetti and water taxis. The Vaporetti are normally the most effective method in order to get around, even though the route map is altering quite often. If you are visiting Venice for a couple of nights, it is a much less expensive to use vaporetti than exclusive water taxis. You can additionally buy a Venice Card, that has different possibilities that you can go for when you purchase it (public transport, tourist attractions, toilet access, Alilaguna, etc.) There is a 'Junior' variation of the card that is offered at a somewhat decreased price for guests between 5 and 29 years of age. Keep in mind, nevertheless, that a Venice Card is not advised for visitors with less than 3 nigths in Venice, as the majority of the finest attractions are not incorporated in the Card. Venice has some fantastic dining establishments, showcasing the gastronomy of the Veneto region. On the other hand it is commonly believed that the eateries in Venice offer meals of a quality and in portions a lot reduced than anyplace else in Italy. In order to get a flavor of genuine Venice, and relax from sightseeing and tour, head to a Bacaro, one of the little bistros where residents of Venice go for a bottle of wine, a fast snack food and a conversation. In a town full of low quality tourist dining establishments, bacari, where you can have a mini delicious snack for a euro and a good glass of Veneto wine for a couple of Euros, are great places. The carnival period and when it's storming may be the most awful time period to go to Venice: it's very Grimy and wet - you might also need to get water-proof sneakers, that are offered on the roadways for approximately twenty euros. When it's showering there are insects and periodic problems with flies. Spring season and autumn months are perhaps most ideal, a compromise between temperature level (count on 10-17° C in spring season) and the tourist load. in winter months, you will feel that you have entire Venice all to yourself, an intriguing and peaceful adventure. Be careful of the weather condition in the course of the winter season: it could be really chilly, windy, and wet. Fogginess is an extra danger if you are driving a vehicle in or out, doubly so in the less likely option that you will navigate around with a boat. If you've never been to Venice, it's much better to travel in summer season rather than not to go. You probably will not be sorry for it. Many towns are much more frustrating in summer season, and Venice has no automobiles and consequently no smog. Ca' Pesaro is a stunning castle that is a home to the exhibit of modern art concentrating on Italian art in the 19th Century in addition to the Marco Pollo Museum, a great compilation primarily of Asian items. Academy Gallery Museum of Art is Venice's premiere art museum! This monumental art gallery contains the world's most complete 13th to 18th century art collections. These include masterpieces by the Venetian greats who specialized in Gothic and Byzantine art of the Renaissance period such as Titian, Giovanni Bellini, Giorgione, Tintoretto, Veronese and many others. The Correr Museum, known as the Museo Civico Correr in Italian, is located on the Piazza San Marco, and tickets for the museum are sold along with Palazzo Ducale tours. Although the spectacular building dates back to the 16th Century, the Correr Museum actually opened in 1922. To catch the most accurate glimpse into what ancient Venetian life was like for politicians, aristocrats and other citizens, the Correr Museum is a must-see. Venice's biggest collection of 18th century art is situated in the Ca'Rezzonico, that is named after the aristocrat Rezzonico family. Their prior Baroque residence on the Grand Canal offers three floorings of statues, art works and many decadent decorations, in addition to 4 areas consisting of important works by Giambattista Tiepolo. Other attractions consist of the palace's outstanding stairs and the Gallery Portego, that includes portraits and landscape art works from Venetian artists of the Settecento. The majority of the paintings in the Peggy Guggenheim Collection, one of Italy's most significant art galleries for modern art, were bought by American member of the upper class Peggy Guggenheim, who was all the way through her life time a patron of the arts. The museum consists of art works from the most well-known International artists of the first half of the 20th century, featuring, Jackson Pollock, Alexander Calder and famous Pablo Picasso and it also houses many exclusive events during the year. Basilica di San Marco is among the top attractions of a travel to Venice. The tour inside the San Marco basilica lasts only 10 mins. Hanging around for access into the church can last as much as four to five hrs and it may be a good idea to get a voucher from the official site. It is popular around the world for its incomparable items and exciting secret spots. San Giacomo di Rialto church is perhaps the oldest church in Venice constructed in 5th century. San Giacomo church is most acknowledged for its 15th century clock over the entry of the church. It is additionally well known for the red pillars and attractive gold accents all around the church. Basilica of Santa Maria Assunta in Torcello is located on the lovely Torcello isle, and it is an wonderful illustration of Venetian- Byzantine design. The cathedral is well known for its significant mosaics, which are a true masterwork of the Byzantine-Ravennate academy. Santa Maria Gloriosa dei Frari. The huge monastery church, with outstanding statues and art works, among which the famous 'Assunta' by Titian. Take a Vaporetto down the Grand Canal just before sundown. The Vaporettos are pricey, but the views are incomparable: fantastic architecture, seaside sundown, and a remarkable parade of Venetian boats. Take a Gondola if you can pay for it: it's highly-priced, but the Gondoliere may reduce the price if you request. A few travel books discourage travelers from requesting gondola rate discounts. If a gondola seems to be a slightly expensive, the substitute is to move across the Grand Canal by traghetto. The length of any travel by traghetto is only a couple of mins. Lots of guests take pleasure in exploring the open air market places close to the Rialto Bridge and there is a traghetto station, at the Pescheria joining the Santa Sophia church along the Strada Nova. You can spend an afternoon on the isles, typically Burano, Murano and Torcello. There are watercraft services to all these isles at scheduled times, also including services between the isles themselves. Be ready for very long lines and lengthy delays for the watercrafts between isles. Italians tip hardly any; 5 per cent is sufficient, and it's typically more than enough just to round the bill up to the nearest nearest whole number. If the invoice says 'servizio incluso', you don't need to tip at all. Similar tourist destinations in Italy: Milan, Rimini, Florence. 1. Head southeast on Via Circonvallazione Meridionale toward Piazza Giuseppe Mazzini. 2. Turn right onto Via Donato Bramante. 3. Turn left onto Via Monte Titano. Go through 1 roundabout. 4. Turn right onto Via della Fiera. Go through 1 roundabout. 5. At the roundabout, take the 4th exit onto SS16. 6. Turn right onto Strada Statale 72 Consolare Rimini S. Marino/SS72. 7. Take the E55/A14 ramp to Bologna/Ancona. Toll road. 12. Take the exit toward Venezia/Ravenna/Mestre/Marghera. Toll road. 13. Continue straight. Toll road. 14. At the roundabout, take the 2nd exit onto the ramp to Porto/Triesteelluno/Tarvisio/Venezia. 15. Keep left at the fork, follow signs for Venezia. 17. Continue straight onto Via Giorgio Rizzardi. 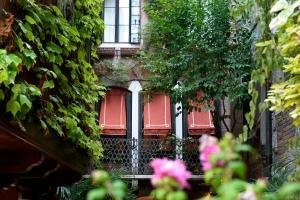 Cannaregio, Venice, 0.7 km from the centre of town of Venice. Teatro La Fenice, Venice, 0.8 km from the centre of town of Venice. Dorsoduro, Venice, 0.8 km from the centre of town of Venice. Church Santa Maria dei Miracoli, Venice, 1 km from the centre of town of Venice. Basilica di San Marco, Venice, 1.1 km from the centre of town of Venice. Palace Ducale, Venice, 1.2 km from the centre of town of Venice. Church San Giorgio Maggiore, Venice, 1.8 km from the centre of town of Venice. Ski resort Dolomiti Superski, number of ski pistes: 668. 19 km from town of Venice. Ski resort Folgaria, very good nightlife, many restaurants and pubs. 75 km from town of Venice. Ski resort Asiago, recommended ski resort for beginners. 80 km from town of Venice.